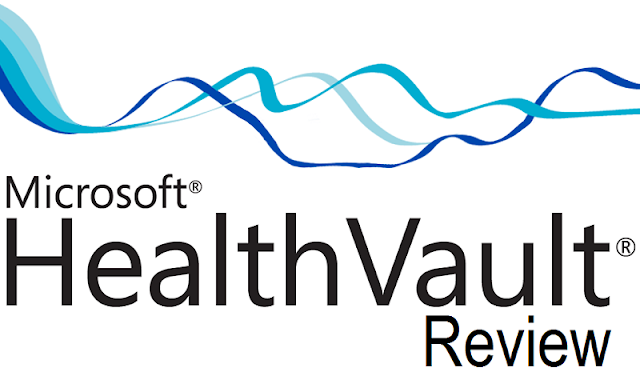 Microsoft HealthVault is actually a web-based platform provided by Microsoft for gathering, storing, sharing and maintaining all sorts of fitness, health or medical information. This is a personal medical record system that was launched in October in the year 2007. This website is meant for healthcare professionals and other people. Now users are in a position to manage their health records and they can now easily share their medical or health related information with healthcare professionals, friends and family. They can now access reliable health management applications that are available on the Internet. Following is the full Review of Microsoft HealthVault Platform with Benefits of Medical Database Centers. Microsoft HealthVault Development is a giant step forward in the world of health care. HealthVault is actually a web application meant for HealthVault website users. It is capable of communicating with HV platform servers for determining data access rights, rights required for creating, reading, updating and deleting all sorts of data and information contained in the HealthVault System. HealthVault Application has to go through multiple authorization and authentication steps before it is able to access the present data in the HealthVault System. The user initiates an authentic browser session by accessing the HealthVault Web Page and also, a Microsoft OpenID or may be a Facebook Account credentials. This authentication step is known as the HealthVault User Shell. You may easily initiate the user shell by just opening a HealthVault Application. The user would be guided to the Web Page of HealthVault and asked to sign in. Once the user signs in, the application would start running. The user would initiate the HealthVault Application in a number of ways. The user may enter the app URL, or click on a particular link available in the HealthVault Application Directory. He may alternatively initiate the application in Visual Studio or any other development environment. The servers at the HealthVault platform are there for authentication of the application. The web server hosting the HealthVault Application is supposed to be hosting a private key that identifies or classifies the application. The user is then supposed to authorize the Application. The User Shell displays the kinds of data access that have been requested by the app. The user has the discretion to authorize or not to authorize the application. Once the user authorizes an application, it is supposed to remain authorized for a particular user unless the user himself or the appends up revoking the application. HealthVault Connection Center is said to allow fitness and health data to be shifted from various devices such as WithingsWifiBody Scale, blood pressure monitors, and even heart rate watches to a person’s HealthVault Record. It may even be utilized for finding and downloading medical device drivers. Microsoft had launched Microsoft Band in the year 2014. This is primarily a fitness band that is actually fueled by Microsoft Health. This facilitates aggregation as well as integration of various services like MyFitnessPal. Visit mesusolutions.com for more information. HealthVault assists in storing medical imaging that is DICOM-based. Users have the opportunity to upload and even download DVDs of medical imaging with the help of HealthVault Connection Center. Even third parties are able to download and upload medical imaging from or to HealthVault, for example Candelis. Moreover, there exists a wide spectrum of HealthVault clinical imaging viewers also. HealthVault facilitates multiple exchange formats such as industry standards like Continuity of Care Record and the Continuity of Care Document. It offers support for existing healthcare industry standards. That is why it is able to integrate with several personal healthcare record solutions.